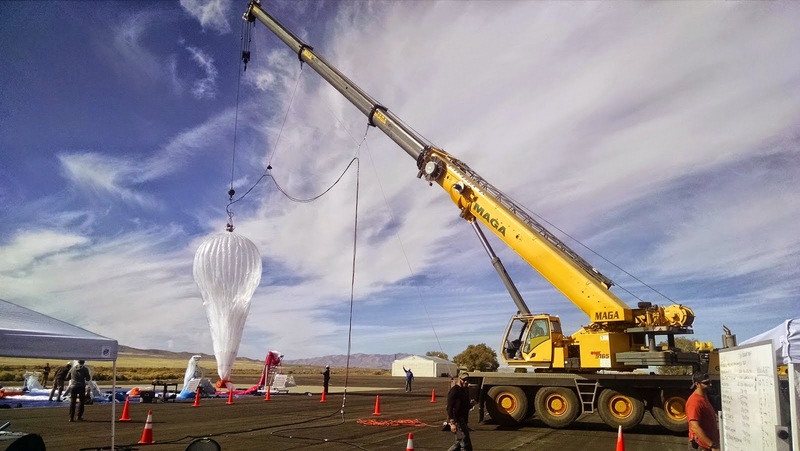 Google’s Project Loon, the company’s effort to deliver Internet access from balloons that travel around the world in the stratosphere, continues to make strides toward a commercial launch. A few days ago we heard that Google will launch a test with Australia’s largest telco provider Telstra next month and today, Google released a bit more info about the state of the project. Its balloons, for example, can now stay in the air up to 10 times longer than when the project started last year. Many now last over 100 days — and some even up to 130 days. In total, the balloons have now flown over three million kilometers (though this one, which apparently crashed in Africa a few days ago, probably didn’t make it quite as far). Google also says it has developed new equipment to inflate its balloons. It now only takes about five minutes to get a balloon ready for launch and the company says it can launch up to 20 balloons a day now. As Google X’s Astro Teller told us earlier this year, Google plans to partner with telcos on this project. This means Google isn’t buying spectrum itself, but it will work with existing providers to give them access to its balloons and they get to use their licenses to transmit from the stratosphere. The project may have indeed looked a bit crazy in the early days, but Google is obviously dedicated to the project and it’s clearly making progress right now.